LABERDEE, JOHN.Age, 39 years. Enlisted, October 6, 1864, at Bergen; mustered in as private, "unassigned," October 6, 1864, to serve three years; no further record. LACY, GEORGE A.Age, 21 years. Enlisted, November 6, 1863, at Niagara; mustered in as private, Co. M, November 24, 1863, to serve three years; mustered out, July 13, 1865, at New Berne, N.C.
LACY JOHN.Age, 21 years. Enlisted September 30, 1864, at Buffalo; mustered in as private, Co. D, September 30, 1864, to serve three years; deserted to the enemy, November 10, 1864; from Camp Palmer, near New Berne, N.C.
LACY, PATRICK.Age, 32 years. Enlisted, April 29, 1863, at New York; mustered in as private, Co. F, April 29, 1863, to serve three years; appointed sergeant, April 30, 1863; reduced to ranks, June 4, 1863; appointed corporal, June 8, 1863; reduced, November 1, 1863; captured, April 20, 1864, at Plymouth, N.C.; died September 11, 1864, while a prisoner of war, at Andersonville, Ga.; prior service in Second Cavalry, Regulars. LADD, HIRAM.Age 44 years. Enlisted, December 4, 1862, at Hoosick; mustered in as private, Co. B, March 31, 1863, to serve three years; no further record. LADWIG, ANTHONY.Age, 32 years. Enlisted, January 21, 1863, at Buffalo; mustered in as corporal, Co. F, January 21, 1863, to serve three years; appointed sergeant, March 24, 1863; reduced and transferred to Co. E, May 20, 1863; appointed sergeant, date not recorded; reduced to ranks, August 5, 1864; absent, sick in northern hospital, at time company was mustered out, July 19, 1865; also borne as Ludwig; no further record. LAFFLETH, FRANK, see Leffleth, Frank. LAFFRAY, WARREN C.Age, 33 years. Enlisted, January 9, 1863 at Buffalo; mustered in as quartermaster sergeant, Co. L, January 9, 1863, to serve three years; no further record. LAFLAMBY, WILLIAM W.Age, 21 years. Enlisted, October 26, 1863, at Buffalo; mustered in as private, Co. M, November 24, 1863, to serve three years; mustered out with company, July 19, 1865, at Raleigh, N.C.
LA FOUNTAINE, RICHARD.Age, 18 years. Enlisted, August 3, 1863, at Troy; mustered in as private, Co. I, September 2, 1863, to serve three years; appointed corporal, March 20,1864; sergeant, December 22, 1864; mustered out with company, July 19, 1865, at Raleigh, N.C.; also borne as Lafontaine. LAISHLEY, STEPHEN.Age, 30 years. Enlisted, August 21, 1862 at Volney; mustered in as sergeant, Co. B, November 19, 1862, to serve three years; appointed first sergeant, April 23, 1863; mustered out with company, July 19, 1865, at Raleigh, N.C.
LAKE, MORTIMER.Age, 28 years. Enlisted, August 15, 1862, at Fulton; mustered in as private, Co. A, August 22, 1862 to serve three years; deserted, previous to November 19, 1862. LAMB, SAMUEL.Age, 21 years. Enlisted, March 2, 1864, at Troy; mustered in as private, Co. G, March 3, 1864, to serve three years; mustered out with company, July 19, 1865, at Raleigh, N.C.
LAMBIN, JOHN.Age, 19 years. Enlisted, September 17, 1863, at Buffalo; mustered in as private, Co. L, September 25, 1863, to serve three years; mustered out with company, July 19, 1865, at Raleigh, N.C.; also borne as Lambier and Sanbier. LAMONTAGUE, HENRY.Age, 23 years. enlisted, September 13, 1864, at Troy; mustered in as private, Co. L, September 13,1 864, to serve one year; mustered out, June 20, 1865 per General Order No. 85. LANFER, WILLIAM.Age, 27 years. Enlisted, December 16, 1862, at New York; mustered in as private, "unassigned," December 16, 1862, to serve three years; no further record. LANGANBACH, DAVIS.Age, 43 years. Enlisted, January 3, 1863, at Buffalo; mustered in as private, Co. L, January 5, 1863, to serve three years; transferred to Co. E, May 20, 1863; to Co. G, August 1, 1864; discharged in November, 1864, Foster General Hospital, New Berne, N.C.; also borne as Langenbach, David, and Lazenbach, David. LANGANHADIER, JOHN F.Age, 23, years. Enlisted, September 12, 1864 at Avon; mustered in as private, Co. K, September 12, 1864, to serve one year; mustered out, May 15, 1865, at New York city. LANGE, AUGUST.Age, 21 years. Enlisted, December 16, 1862, at New York; mustered in as private, "unassigned," December 17, 1862, to serve three years; no further record. LANSING, EDWARD.Age, 23 years. Enrolled, January 27, 1864 in the field; mustered in as second lieutenant, Co. H, to date January 27, 1864, to serve three years; mustered in as first lieutenant, Co. B, to date October 24, 1864; captain, to date April 28, 1865; mustered out with company, July 19, 1865 at Raleigh, N.C. Commissioned second lieutenant, January 5, 1864, with rank from November 20, 1863 vice Clark, promoted; first lieutenant, October 31, 1864, with rank from October 24, 1864, vice Watkins, promoted; captain, May 31, 1865, with rank from April 8, 1865, vice Hubbard, deceased. LANSING, HENRY G.Age, 24 years. Enlisted, August 5, 1862, at Buffalo; mustered in as private, Co. F, One Hundredth New York Volunteers, August 5, 1862, to serve three years; transferred to and mustered in as first lieutenant, Co. K, September 24, 1863; resigned, April 7, 1864. Commissioned first lieutenant, November 20, 1863, with rank from August 31, 1863, original. LANSING, WILLIAM.Age, 21 years. Enlisted, November 25, 1862, at White Creek; mustered in as private Co. I, March 31, 1863 to serve three years; transferred to Co. B, May 20, 1863; missing in action, December 20, 1863, near Greenville, N.C.; died July 31, 1864, in Andersonville prison, Ga., while a prisoner of war. LARKINS, JOHN P.Age, 28 years. Enlisted, November 28, 1862, at Buffalo; mustered in as private, Co. H, November 29, 1862 to serve three years; transferred to Co. D, May 20, 1863, at New Berne, N.C.
LA ROCK, JOHN, see Le Rock, John. LARRABEE, WILLIAM.Age, 26 years. Enlisted, January 3, 1863, at Buffalo; mustered in as sergeant, Co. L, January 3, 1863, to serve three years; no further record. LA RUE, GEORGE.Age, - years. Enlisted, April 20, 1863, at New York; mustered in as private, Co. F, April 21, 1863, to serve three years; transferred to Cos. E, May 20, 1863; appointed corporal, September 2, 1864; transferred to Co. A, and appointed sergeant, January 1, 1865; appointed first sergeant, April 22, 1865; mustered out with company, July 19, 1865, at Raleigh, N.C.
LASH, LEVI R.Age, 21 years. Enlisted, March 21, 1863, at Buffalo; mustered in as private, Co. I, March 31, 1863; to Co. E, April 9, 1863; to Co. D, May 20, 1863; appointed corporal, June 1, 1863; sergeant, May 1, 1865; mustered out with company, July 19, 1865, at Raleigh, N.C.
LATHAM, PETER, see Lether, Peter. LATHAM, WILLIAM D.Age, 28 years. Enlisted, August 22, 1864, at Angelica; mustered in as private, Co. G, September 2, 1864, to serve one year; discharged, June 23, 1865, per General Order No. 83. LAUER, CHARLES.Age, 40 years. Enlisted, December 18, 1862, at New York; mustered in as private, "unassigned," December 18, 1862, to serve three years; no further record. LAUGHLIN, JOHN.Age, 22 years. Enlisted, March 21, 1863, at Syracuse; mustered in as private, Co. G, August 7, 1863, to serve three years; wounded in action at Jacksonville, N.C., June 22, 1864; mustered out with company, July 19, 1865, at Raleigh, N.C.
LAVIE, MARTIN.Age, 20 years. Enlisted, September 27, 1864, at Buffalo; mustered in as private, Co. K, September 27, 1864, to serve one year; discharged, June 14, 1865, at Raleigh, N.C.; also borne as Laven. LAW, THOMAS.Age, 29 years. Enlisted, December 5, 1862, at Buffalo; mustered in as private, Co. L, December 5, 1862, to serve three years; no further record. LAWLESS, JOHN E.Age, 22 years. Enlisted, July 27, 1863, at Buffalo; mustered in as private, Co. H, August 27, 1863, to serve three years; transferred to United States Navy, July 6, 1864. LAWLOR, JOHN.Age, 28 years. Enlisted, August 23, 1862, at Oswego; mustered in as private, Co. B, November 19, 1862, to serve three years; wounded at Camp Jackson, August 1, 1863; dies of such wounds, September 2, 1863, in General Hospital, at New Berne, N.C.
LAWRENCE, JOHN.Age, 28 years. Enlisted, August 23, 1862, at Oswego; mustered in as private, Co. K, September 10, 1863, to serve three years; mustered out with company, July 19, 1865, at Raleigh, N.C.; prior service in Twenty-first New York Volunteers. LAWRENCE, JOHN.Age, 28 years. Enlisted, November 26, 1862, at Buffalo; mustered in as private, Co. H, November 26, 1862, to serve three years; transferred to Co. D, May 20, 1863; mustered out with company, July 19, 1865, at Raleigh, N.C.
LAWS, ABIAL W.Age, 38 years. Enlisted, August 20, 1862, at Volney; mustered in as private, Co. B, November 19, 1862, to serve three years; appointed corporal, November 20, 1862; reduced, May 20, 1863; reappointed corporal, June 20, 1863; appointed sergeant, September 15, 1863; commissary sergeant, March 1, 1864; mustered out with company, July 19, 1865, at Raleigh, N.C.
LEARY, JOHN.Age, 17 years. Enlisted, February 23, 1863, at Buffalo; mustered in as private, Co. F, February 23, 1863, to serve three years; transferred to Co. E, May 20, 1863; mustered out with company, July 19, 1865, at Raleigh, N.C.
LEARY, WILLIAM.Age, 21 years. Enlisted, November 25, 1862, at New York; mustered in as private, "unassigned," November 25, 1862, to serve three years; no further record. LEE, BROWNELL W.Age, 18 years. Enlisted, January 17, 1864, at Unionvale; mustered in as private, Co. F, January 17, 1864, to serve three years; appointed corporal, April 20, 1865; sergeant, July 16, 1865; mustered out with company, July 19, 1865, at Raleigh, N.C.
LEE, FRANK.Age, 19 years. Enlisted, February 19, 1863, at Buffalo; mustered in as commissary sergeant, Co. F, February 26, 1863, to serve three years; appointed first sergeant, April 16, 1863; transferred to Co. E, May 20, 1863; mustered in as second lieutenant, to date January 1, 1864; mustered out with company, July 19, 1865, at Raleigh, N.C. Commissioned second lieutenant, January 8, 1864, with rank from November 20, 1863, vice Tanner, discharged. LEE, HENRY.Age, 34 years. Enlisted, December 15, 1862, at New York; mustered in as private, "unassigned," December 8, 1862, to serve three years; no further record. LEE, JAMES.Age, 23 years. Enlisted, December 8, 1862, at New York; mustered in as private, "unassigned," December 8, 1862, to serve three years; no further record. LEFFLETH, FRANK.Age, 26 years. Enlisted, January 28, 1863, at Buffalo; mustered in as teamster, Co. F, January 28, 1863 to serve three years; deserted, April 2, 1863; apprehended, April 22, 1863; transferred to Co. E, May 20 1863; appointed corporal, date not recorded; reduced, October 21, 1863; reappointed corporal, November 2, 1863; appointed sergeant, October 4,1 864; mustered out with company, July 19, 1865, at Raleigh, N.C.; also borne as Laffleth. LEHMAN, LEWIS.Age, 18 years. Enlisted, September 18, 1863, at Buffalo; mustered in as private, Co. L, September 25, 1863, to serve three years; mustered out, June 8, 1865, at Albany, N.Y.; also borne as Seaman, Servis. LEHMEIR, GEORGE.Age, 36 years. Enlisted, September 3, 1863, at Buffalo; mustered in as private, Co. K, September 10, 1863 to serve three years; died September 6, 1863, at Camp Rocky Run, N.C.
LEIMETEN, KOTTLEIB.Age, 23 years. Enlisted, in Co. E, December 20, 1862, at Albany, to serve three years; deserted, previous to muster in of company, March 31, 1863. LEINS, ENGLEBERT.Age, 22 years. Enlisted, April 30, 1863 at Syracuse, mustered in as corporal, Co. G, August 7, 1863 to serve three years; appointed quartermaster sergeant, April 27, 1864; died in November 1864, while on furlough, at Syracuse, N.Y.; veteran. LENNON, JAMES.Age, 30 years. Enlisted, December 18, 1862, at Buffalo; mustered in as private, "unassigned," December 18, 1862, to serve three years; no further record; also borne as Lunan. LENOX, JAMES.Age, 29 years. Enlisted, October 29, 1863, at Buffalo; mustered in as private, Co. M, November 24, 1863, to serve three years; mustered out with company, July 19, 1865, at Raleigh, N.C.
LEPKIN, WILLIAM.Age, 18 years. Enlisted, December 12, 1862, at Buffalo; mustered in as private, Co. D, December 12, 1862, to serve three years; no further record. LERGENMULLER, GEORGE.Age, 38 years. Enlisted, September 3, 1863, at Buffalo; mustered in as private, Co. K, September 10, 1863, to serve three years; mustered out, July 8, 1865, at Buffalo. LE ROCK, JOHN.Age, 21 years. Enlisted, July 3, 1863, at Oswego; mustered in as private, Co. G, August 7, 1863, to serve three years; transferred to Co. C, December 1, 1864; mustered out with company, July 19, 1865, at Raleigh, N.C.; also borne as La Rock. LESLIE, GEORGE.Age, 32 years. Enlisted, February 3, 1863, at Buffalo; mustered in as private, Co. F, February 3, 1863, to serve three years; transferred to Co. E, May 20, 1863; appointed sergeant, date not recorded; commissary sergeant, date not recorded; reduced to ranks, July 19, 1864; mustered out with company, July 19, 1865, at Raleigh, N.C.
LESTER, RENSSELAER.Age, 44 years. Enlisted, September 18, 1862, at Hillsdale; mustered in as private, Co. C, February 17, 1863, to serve three years; farrier and blacksmith, from enrollment; mustered out, June 28, 1865, at Greensboro, N.C.; also borne as Lester, Rensselaer. LETHER, PETER.Age, 31 years. Enlisted, November 26, 1862, at Buffalo; mustered in as sergeant, Co. L, November 26, 1862, to serve three years; reduced to ranks, February 23, 1863; transferred to Co. E, May 20, 1863; appointed corporal, September 25,1 863; sergeant, July 2, 1864; quartermaster sergeant, July 19, 1864; mustered out with company, July 19, 1865, at Raleigh, N.C.; also borne at Latham. LEWIS, BENJAMIN.Age, 28 years. Enlisted, as a private, "unassigned," August 20, 1863, at Buffalo, to serve three years; no evidence of muster in. LEWIS, FRANK, see Louis, Francis. LEWIS, JOHN R.Age, 21 years. Enlisted, December 2, 1862, at Buffalo; mustered in as private, Co. D, December 4, 1862, to serve three years; transferred to Co. A, May 20, 1863; missing in action at Plymouth, N.C., April 20, 1864, reported as a paroled prisoner, at Annapolis, Md., upon muster out of company, July 19, 1865; no further record. LEWIS, JOSEPH.Age, 38 years. Enlisted, August 5, 1863, at New York; mustered in as private, Co. I, September 2, 1863, to serve three years; deserted, September 22, 1863, from Staten Island. LEWIS, WILLIAM.Age, 24 years. Enlisted, December 10, 1862, at Hoosick; mustered in as private, Co. B, March 31, 1863, to serve three years; no further record. LEYN, PETER.Age, 39 years. Enlisted, January 11, 1863, at Buffalo; mustered in as private, Co. E, January 12, 1863, to serve three years; no further record. LIDDLE, JOHN.Age, 30 years. Enlisted, September 12, 1863 at Buffalo; mustered in as private, Co. L, September 25, 1863, to serve three years; discharged for disability, January 23, 1863, at New Berne, N.C.
LILLEBRANT, WILLIAM.Age, 19 years. Enlisted, December 3, 1862, at Oswego; mustered in as private, Co. I, March 31, 1863, to serve three years; transferred to Co. B, May 20, 1863; missing in action, June 21, 1864, near Kingston, N.C.; released and reported for duty, June 9, 1865; mustered out with company, July 19, 1865, at Raleigh, N.C.; also borne at Littlebrat and Lillebrans. LINCOLN, RILEY.Age, 22 years. Enlisted, January 17, 1863 at Tompkinsville; mustered in as private, Co. E, March 31, 1863, to serve three years; transferred to Co. F, May 20, 1863; missing in action, April 20, 1864, at Plymouth, N.C.; died on or about November 1, 1864, while a prisoner of war, at Andersonville, Ga.
LINDEMAN, ALBERT.Age, 28 years. Enlisted, November 22, 1862, at New York; mustered in as private, "unassigned," November 22,1 862, to serve three years; no further record. LINSKEY, CHARLES H. J.Age, 24 years. Enlisted, May 28, 1863, at Albany; mustered in as first lieutenant, Co. G, June 26, 1863, to serve three years; mustered out with company, July 19, 1865, at Raleigh, N.C. Commissioned first lieutenant, November 20, 1863, with rank from may 25, 1863; original. LINNAMAN, HENRY.Age, 18 years. Enlisted, November 12, 1862, at Buffalo; mustered in as private, Co. H, November 12, 1862, to serve three years; no further record. LIPKIN, WILLIAM.Age, 18 years. Enlisted, December 11, 1862, at Buffalo; mustered in as private, Co. G, December 12, 1862, to serve three years; transferred to Co. A, May 20, 1863; missing in action, April 20, 1864, at Plymouth, N.C.; returned, date not recorded; appointed corporal, May 22, 1865; mustered out with company, July 19, 1865, at Raleigh, N.C.
LIPPE, MARTIN.Age, 25 years. Enlisted, July 28, 1863, at Buffalo; mustered in as private, Co. H, August 27, 1863, to serve three years; discharged, May 30, 1865, from General Hospital, Davids Island, New York Harbor. LIPPE, PETER.Age, 23 years. Enlisted, June 23, 1863, at Buffalo; mustered in as private, Co. H, August 27, 1863, to serve three years; captured March 8, 1865, at Wises Forks, N.C.; returned to duty, June 20, 1865; mustered out with company, July 19, 1865, at Raleigh, N.C.; prior service in Twenty-first New York Volunteers. LIPPETT, JOHN W., see Tippett, John W.
LISTON, WILLIAM.Age, 23 years. Enlisted, December 13, 1862, at New York; mustered in as private, "unassigned," December 13, 1862, to serve three years; no further record. LITTLEBRAT, WILLIAM, see Lillebrant, William. LITTLEFIELD, JAMES W.Age, 37 years. 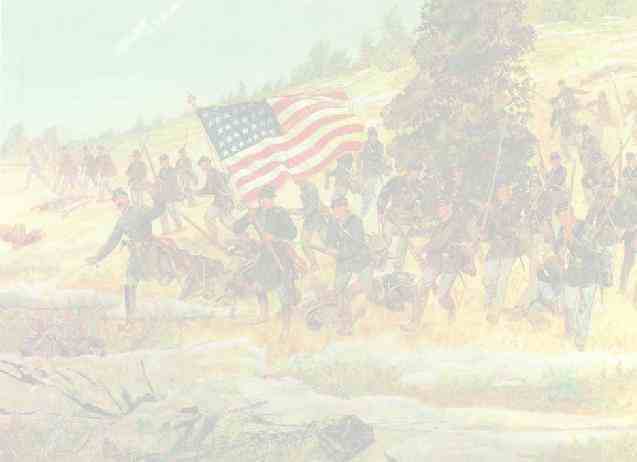 Enlisted, September 16, 1864, at Mt. Morris; mustered in as private, Co. K, September 16, 1864, to serve one year; discharged, June 14, 1865, at Raleigh, N.C., under General Order No. 47, etc. LITTLEFIELD, LEONARD G.Age, 18 years. Enlisted, May 1, 1863, at New York; mustered in as private, Co. F, May 8, 1863 to serve three years; transferred to Co. E, May 20, 1863; appointed corporal, date not stated; reduced, September 25, 1863; discharged, July 17, 1864, by order of Major-General Dix. LLOYD, JOHN C.Age, 32 years. Enlisted, January 12, 1863, at Buffalo; mustered in as private, Co. L, January 12, 1863, to serve three years; no further record. LOCKARD, ISRAEL.Age, 32 years. Enlisted, August 12, 1863, at Buffalo; mustered in as private, Co. H, August 27, 1863, to serve three years; arrested, November 29, 1863; restored to duty, April 4, 1864; transferred to United States Navy, July 6, 1864. LOFTIS, FRANK.Age, 22 years. Enlisted, December 15, 1862, at New York; mustered in as private, Co. E, March 31, 1863, to serve three years, transferred to Co. F, May 20, 1863; captured, April 20, 1864, at Plymouth, N.C.; died on or about September 8, 1864, at Andersonville, Ga.
LONARGON, JEREMIAH.Age, 30 years. Enlisted, September 21, 1864, at Troy; mustered in as private, Co. L, September 21, 1864, to serve one year; mustered out June 20, 1865, under General Order No. 85, etc. LONESS, JAMES.Age, 18 years. Enlisted, August 15, 1862, at Oswego; mustered in as private, Co. A, November 19, 1862, to serve three years; no further record. LONG, HENRY.Age, 33 years. Enlisted, December 18, 1862, at Syracuse; mustered in as private, Co. B, March 31, 1863, to serve three years; no further record. LONG, JOHN.Age, 23 years. Enlisted, April 17, 1863, at New York; mustered in as private, Co. F, April 28, 1863, to serve three years; captured, April 20, 1864, at Plymouth, N.C.; died while a prisoner of war, December 10, 1864, at Florence, S.C.
LONGAY, EUGENE.Age, not stated. Borne as private, Co. C, without further remark; no further record. LOOMIS, REUBEN.Age, 21 years. Enlisted, August 11, 1863, at Buffalo; mustered in as private, Co. H, August 27, 1863, to serve three years; captured, March 8, 1865, at Wises Forks, N.C.; returned to duty, June 20, 1865; mustered out with company, July 19, 1865, at Raleigh, N.C.
LOPEZ, FRANK.Age, 25 years. Enlisted, December 5, 1862, at New York; mustered in as private, "unassigned," December 5, 1862, to serve three years; no further record. LUDWIG, FRANK.Age, 22 years. Enlisted, December 21, 1863, at New York; mustered in as private, Co. F, December 21, 1863, to serve three years; captured, April 20, 1864, at Plymouth, N.C.; borne as exchanged prisoner, April, 1865; mustered out with company, July 19, 1865, at Raleigh, N.C.
LUIX, EDWARD.Age, 27 years. Enlisted, December 10, 1862, at Clifton Park; mustered in as private, Co. E, March 31, 1863, to serve three years; transferred to Co. F, May 20, 1863; appointed corporal, June 25, 1863; captured, April 20, 1864, at Plymouth, N.C.; confined in Andersonville, to April 29, 1865; mustered out, June 21, 1865, at New York. LUNAN, JAMES, see Lennon, James. LUND, JOHN C.Age, 41 years. Enlisted, November 25, 1862, at Buffalo; mustered in as private, Co. H, November 26, 1862, to serve three years; no further record. LUNDY, ROBERT.Age, 18 years. Enlisted, October 29, 1863, at Buffalo; mustered in as private, Co. M, November 24, 1863, to serve three years; appointed hospital steward, February 1, 1864; captured, date not stated; mustered out, July 13, 1865, at Elmira, under General Order No. 77, etc., as paroled prisoner, from Annapolis, Md. LUSK, CHARLES H.Age, 37 years. Enlisted, July 15, 1863, at Oswego; mustered in as private, Co. G, August 7, 1863, to serve three years; mustered out with company, July 19, 1865, at Raleigh, N.C.
LUTHSO, HENRY.Age, 35 years. Enlisted, August 10, 1863, at Buffalo; mustered in as private, Co. H, August 27, 1863, to serve three years; transferred to Co. K, September 12, 1863; discharged, May 31, 1864, from a United States Hospital, order of General Dix. LUTTED, JAMES.Age, 19 years. Enlisted, August 11, 1863, at Buffalo; mustered in as private, Co. H, August 27, 1863, to serve three years; appointed quartermaster sergeant, February 22, 1864; acting regimental quartermaster sergeant, August 31, 1864, to March 29, 1865; mustered out as quartermaster sergeant, with Co. H, July 19, 1865, at Raleigh, N.C.
LYMAN, FRANK E.Age, 21 years. Enlisted, February 26, 1863, at Buffalo; mustered in as private, Co. F, February 26, 1863, to serve three years; transferred to Co. E, and appointed sergeant, May 20, 1863; reduced to ranks, July 2, 1864; appointed sergeant, August 1, 1864; first sergeant, January 24, 1865; mustered out with company, July 19, 1865, at Raleigh, N.C. Commissioned second lieutenant, April 22, 1865, with rank from March 1, 1865, vice Palmer, promoted; not mustered. LYMAN, SIDNEY A.Age, 24 years. Enlisted, September 15, 1864, at Phelps; mustered in as private, Co. K, September 15, 1864, to serve one year; mustered out, May 16, 1865, under General Order No. 41, at Davids Island, New York Harbor. LYNCH, LEWIS.Age, 23 years. Enlisted, January 14, 1864, at New York; mustered in as private, Co. A, January 14, 1864 to serve three years; captured, April 20, 1864, at Plymouth, N.C.; mustered out, June 26, 1865, at Washington, D.C., under General Order No. 77, etc. LYNCH, MICHAEL.Age, 23 years. Enlisted, October 31, 1862, at Albany; mustered in as private, Co. C, February 17, 1863, to serve three years; sentenced, January 1864, to six months hard labor and forfeit all pay; returned from confinement, April 1864; transferred to Co. G, December 1, 1864; mustered out with company, July 19, 1865, at Raleigh, N.C.
LYONS, JOHN.Age, 30 years. Enlisted, January 2, 1864, at New York; mustered in as private, Co. E, January 2, 1864, to serve three years; died from effects of a kick from a horse, April 29, 1864, at New Berne, N.C.
LYONS, RICHARD.Age, 21 years. Enlisted, July 17, 1863, at New York; mustered in as private, Co. I, September 2, 1863, to serve three years; appointed bugler, February, 1865; captured, March 27, 1865; released, May 5, 1865; mustered out, June 30, 1865, at New York; prior service in Twenty-third New York Volunteer Infantry. LYONS, TIMOTHY.Age, 22 years. Enlisted, January 30, 1863, at Buffalo; mustered in as private, Co. E, January 30, 1863, to serve three years; no further record. LYTLE, JOSEPH A.Age, 21 years. Enlisted, September 1, 1863, at Buffalo; mustered in as corporal, Co. K, September 10, 1863, to serve three years; reduced, October 14, 1863; appointed corporal, December 17, 1863; deserted and reduced, January 26, 1864; apprehended and sentenced to forfeit all pay to March 15, 1864; transferred to Co. A, January 1, 1865; wounded, May 8, 1865, near Kingston, N.C.; mustered out with company, July 19, 1865, at Raleigh, N.C.; prior service in Twenty-first New York Volunteers. MAAR, JOHN. - Age, 39 years. Enlisted, December 10, 1862, at New York; mustered in as private, "unassigned," December 10, 1862, to serve three years; no further record. MACK, JOEL. - Age, 23 years. Enlisted, September 8, 1864, at Albany; mustered in as private, Co. M, September 8, 1864, to serve one year; mustered out, June 23, 1865, per General Order No. 83. MACK, WILLIAM. - Age, 21 years. Enlisted, September 14, 1863, at Troy; mustered in as private, Co. M, November 24, 1863, to serve three years; transferred to Co. A, January 1, 1865; killed in action, March 10, 1865, near Kingston, N.C.; also borne as McNamara. MACKEY, JOHN C. - Age, 21 years. Enlisted, March 3, 1864, at Troy; mustered in as private, Co. G, March 3, 1864, to serve three years; deserted, July 1, 1865, at Halifax, N.C.
MAC LAUGHLIN, JAMES. - Age, 21 years. Enlisted, January 31, 1863, at Buffalo; mustered in as corporal, Co. F, February 2, 1863, to serve three years; transferred to Co. E, as private, May 20, 1863; drowned, February 16, 1865 at Columbia, N.C.; also borne as McLoughlin. MADAGEN, RICHARD. - Age, 18 years. Enlisted, September 18, 1863, at Buffalo; mustered in as private, Co. E, September 25, 1863, to serve three years; no further record. MADDEN, WILLIAM. - Age, 21 years. Enlisted, November 28, 1862, at Buffalo; mustered in as private, Co. D, November 28, 1862, to serve three years; no further record. MADDISON, THEODOSO, see Mattson, Theodore. MAHANY, PATRICK, see Mahoney, Patk. MAHER, JOHN. - Age, 22 years. Enlisted, October 29, 1864, at Wayland; mustered in as private, "unassigned," October 29, 1864, to serve three years; discharged, February 10, 1865, at Goldsboro, N.C.
MAHON, ELAM A. - Age, 21 years. Enrolled, January 2, 1863, at New York. mustered in as first lieutenant, Co. L. January 2, 1863, to serve three years; captain, September 25, 1863; discharged, August 22, 1864. Not commissioned first lieutenant; commissioned captain, November 20, 1863, with rank from September 25, 1863, original. MAHON, JAMES. - Age, 22 years. Enlisted, January 30, 1863, at Buffalo; mustered in as private, Co. E, January 31, 1863, to serve three years; no further record. MAHON, SAMUEL. - Borne only on muster-in roll of Co. L, as captain, without remark. Not commissioned. MAHONEY, PATRICK. - Age, 25 years. Enlisted, December 20, 1862, at Clifton Park; mustered in as private, Co. E, March 31, 1863, to serve three years; transferred to Co. C, May 20, 1863; to Co. G, October 1, 1864; discharged, June 8, 1865, from United States Army General Hospital, Troy, N.Y.
MAHONEY, TIMOTHY. - Age, 21 years. Enlisted, February 24, 1863, at Buffalo; mustered in as private, Co. F, February 24, 1863, to serve three years; transferred to Co. E, May 20, 1863; appointed corporal, January 24, 1865; mustered out with company, July 19, 1865, at Raleigh, N.C.
MAIRS, JOHN. - Age, 35 years. Enlisted, September 7, 1863, at Buffalo; mustered in as private, Co. K, September 10, 1863, to serve three years; mustered out, July 1, 1865, at Davids Island, New York Harbor; also borne as Miers. MALLON, MARTIN. - Age, 44 years. Enlisted, August 25, 1863, at Buffalo, as private, "unassigned," to serve three years; no further record. MALONE, FRANCIS. - Age, 22 years. Enlisted, December 1, 1862, at New York; mustered in as private, "unassigned," December 1, 1862, to serve three years; no further record. MALONEY, JOHN. - Age, 18 years. Enlisted, July 17, 1863, at Oswego; mustered in as private, Co. G, August 7, 1863, to serve three years; mustered out with company, July 19, 1865, at Raleigh, N.C.
MALONEY, PETER. - Age, 20 years. Enlisted, February 26, 1863, at New York; mustered in as private, Co. H, February 26, 1863, to serve three years; transferred to Co. E, May 20, 1863; captured, while on picket duty, September 3, 1863; date of release, not stated; died, date not stated, in hospital, at Annapolis, Md. MALONEY, THOMAS. - Age, 29 years. Enlisted, July 12, 1863, at Oswego; mustered in as private, Co. I, September 2, 1863, to serve three years; mustered out with company, July 19, 1865, at Raleigh, N.C.
MANCHESTER, GEORGE. - Age, 21 years. Enlisted, November 7, 1862, at Albany; mustered in as private, Co. C, February 17, 1863, to serve three years; mustered out with company, July 19, 1865, at Raleigh, N.C.
MANE, JOHN. - Age, 21 years. Enlisted, August 18, 1863, at Buffalo; mustered in as private, Co. H, August 27, 1863, to serve three years; mustered out with company, July 19, 1865, at Raleigh, N.C.; prior service in Twenty-first New York Volunteers. MANEY, JOHN. - Age, 18 years. Enlisted, September 8, 1864, at Seneca;mustered in as private, Co. C, September 8, 1864, to serve one year; mustered out, June 23, 1865, at Greensboro, N.C.; also borne as Manney. MANN, ROBERT. - Age, not stated. Enlisted, February 20, 1863, at Buffalo; mustered in as sergeant, Co. F, February 20, 1863, to serve three years; reduced and transferred to Co. E, May 20, 1863; captured, while on picket, July 3, 1863, near Plymouth, N.C.; no further record. MANNERING, GEORGE H. - Age, 18 years. Enlisted, July 10, 1863, at Syracuse; mustered in as private, Co. G, August 7, 1863, to serve three years; appointed corporal, May 15, 1865; mustered out with company, July 19, 1865, at Raleigh, N.C.; also borne as Manning. MANNEY, JOHN, see Maney, John. MANNERING, JOEL N., see Manwaring, Joel N.
MANNING, GEORGE H., see Mannering, George H.
MANNING, MICHAEL. - Age, 28 years. Enlisted, January 21, 1863, at Buffalo; mustered in as private, Co. E, January 21, 1863, to serve three years; no further record. MANNIX, ARTHUR. - Age, 22 years. Enlisted, March 3, 1864, at Troy; mustered in as private, Co. L, March 14, 1864, to serve three years; ; appointed commissary sergeant, July 5, 1865; mustered out with company, July 19, 1865, at Raleigh, N.C.
MANWARING, JOEL M. - Age, 33 years. Enlisted, September 20, 1864, at Albany; mustered in as private, Co. H, September 20, 1864, to serve one year; captured, March 8, 1865, at Wises Forks, N.C.; released, March 26, 1865, at Aikens Landing, Va.; mustered out, September 25, 1865, at Rochester, N.Y.; also borne as Mannering. MARAN, DEE, see Moran, Dee. MARBERGER, AUGUSTUS, see Morberger, Augustus. MARCUM, ALBERT. - Age, 21 years. Enlisted, August 13, 1864, at Buffalo; mustered in as private, "unassigned," August 13, 1864, to serve three years; no further record. MARKOF, DAVID. - Age, 32 years. Enlisted, March 26, 1864, at Troy; mustered in as private, "unassigned," March 26, 1864, to serve three years; no further record. MARSDEN, JEROME B. - Age, 21 years. Enlisted, August 21, 1862 as corporal, at Oswego; mustered in as private, Co. A, November 19, 1862, to serve three years; appointed sergeant, April 21, 1863; reduced May 20, 1863; appointed sergeant, July 2 1863; captured, April 20, 1864, at Plymouth, N.C.; died, date not stated, at Andersonville, Ga.
MARSHALL, CHARLES K. - Age, 22 years. Enlisted, August 4, 1863, at Buffalo; mustered in as private, Co. H, August 27, 1863, to serve three years; appointed corporal, February 22, 1864; mustered out with company, July 19, 1865, at Raleigh, N.C.
MARSHALL, DANIEL. - Age, 31 years. Enrolled, December 10, 1862, at Albany; mustered in as first lieutenant, Co. C, to date December 10, 1862, to serve three years; captain, to date February 19, 1864; dismissed, may 29, 1865, by sentence general court-martial. Commissioned first lieutenant, November 20, 1863, with rank from December 10, 1862, original; captain, February 9, 1864, with rank from December 1, 1863, vice Olmstead, discharged. MARSHALL, JOHN. - Age, 22 years. Enlisted, December 26, 1862 at New York; mustered in as private, "unassigned," December 26, 1862, to serve three years; no further record. MARSHALL, WELLINGTON. - Age, 30 years. Enlisted, February 19, 1863, at New York; mustered in as private, Co. F, April 28, 1863, to serve three years; deserted, May 20, 1863, from Camp Washington, Staten Island, N.Y.
MARSTON, ERASTUS D. - Age, 28 years. Enlisted, October 29, 1862, at Copake, as private, in Co. E, to serve three years; borne on muster-in roll, with remark, "Enlisted as above, but joined Fifth Cavalry." MARTIN, ANTHONY. - Age, 27 years. Enlisted, January 2, 1864 at New York; mustered in as corporal, Co. F, January 2, 1864, to serve three years; captured, April 20, 1864; at Plymouth, N.C., died, July 27, 1864, at Florence, N.C.
MARTIN, CHARLES. - Age, 22 years. Enlisted, August 19, 1864, at Poughkeepsie, mustered in as private, Co. F, August 19, 1864, to serve one year; mustered out, June 23, 1865, at Tarboro, N.C.
MARTIN, COLLINS. - Age, 33 years. Enlisted, August 15, 1862, at Oswego; mustered in as private, Co. A, November 19, 1862, to serve three years; captured at Tarboro, N.C., July 20, 1863; died, date not stated at Richmond, Va.
MARTIN, JAMES. - Age, 25 years. Enlisted, December 3, 1862, at Buffalo; mustered in as private, Co. H, December 3, 1862, to serve three years; no further record. MARTIN, JOHN D. - Age, 32 years. Enlisted, as a private, "unassigned," November 8, 1862, at Claverack, to serve three years; no further record. MARTIN, PATRICK. - Age, 20 years. Enlisted, July 27, 1864, at Troy; mustered in as private, "unassigned," July 27, 1864, to serve three years; no further record. MARTIN, PHILLIPP. - Age, 21 years. Enlisted, December 16, 1862, at New York; mustered in as private, "unassigned," December 16, 1862, to serve three years; no further record. MARTIN, WILLIAM. - Age, 27 years. Enlisted, August 20, 1862, at Fulton; mustered in as private, Co. A, November 19, 1862, to serve three years; died of disease, March 22, 1864, at Camp Palmer, near New Berne, N.C.
MARTON, PATRICK. - Age, 24 years. Enlisted, July 16, 1864, at Troy; mustered in as private, Co. F, July 16, 1864, to serve one year; mustered out, June 23, 1865, at Tarboro, N.C.; also borne as Martin. MARTIN, JAMES. - Age, 23 years. Enlisted, December 31, 1862, at Buffalo; mustered in as private, Co. L, December 31, 1862, to serve three years; no further record. MASON, CHARLES. - Age, 30 years. Enlisted, June 22, 1863, at Troy; mustered in as corporal, Co. G, August 7, 1863, to serve three years; captured, June 23, 1864, at Jacksonville, Crossroads, Anslow county, N.C.; returned to duty, June 7, 1865; mustered out with company, July 19, 1865, at Raleigh, N.C.; prior service in Twelfth New York Battery. MASON, SYLVESTER. - Age, 19 years. Enlisted, November 5, 1862, at Albany; mustered in as private, Co. E, March 31, 1863, to serve three years; no further record. MASON, WILLIAM. - Age, 21 years. Enlisted, November 22, 1862, at Buffalo; mustered in as private, Co. H, November 27, 1862, to serve three years; no further record. MASSEY, WILLIAM. - Age, 32 years. Enlisted, November 18, 1862, at Buffalo; mustered in as first sergeant, Co. H, November 18, 1862, to serve three years; transferred to Co. D, May 20, 1863; reduced, September 30, 1863; appointed first sergeant, November or December, 1863; reduced, March 23, 1864; mustered out with company, July 19, 1865, at Raleigh, N.C.
MAST, MICHAEL. - Age, 39 years. Enlisted, December 16, 1862, at Buffalo; mustered in as private, Co. D, December 16, 1862, to serve three years; transferred to Co. A, May 20, 1863; borne on muster roll, October 31, 1863 as present; no further record. MASTERSON, OWEN. - Age, 39 years. Enlisted, September 19, 1863, at Troy; mustered in as private, Co. M, November 24, 1863, to serve three years; mustered out with company, July 19, 1865, at Raleigh, N.C.
MATTHEWS, HENRY. - Age, 40 years. Enlisted, December 23, 1862, at Buffalo; mustered in as private, Co. D, December 23, 1862, to serve three years; transferred to Co. A, May 20, 1863; captured, April 20, 1864; died, date not stated, at Andersonville, Ga.
MATTISON, CALVIN L. - Age, 21 years. Enlisted, August 19, 1862, at Fulton; mustered in as private, Co. A, November 19, 1862, to serve three years; no further record. MATTSON, THEODORE. - Age, 21 years. Enlisted, December 9, 1862, at Oswego; mustered in as private, Co. B, March 31, 1863, to serve three years; no further record; also borne as Theodoso Maddison. MAULMONT, AUGUSTUS. - Age, 24 years. Enlisted, May 23, 1864, at New York; mustered in as private, Co. G, May 23, 1864, to serve three years; transferred to Co. C, December 1, 1864; mustered out with company, July 19, 1865, at Raleigh, N.C.; also borne as Molmont. MAXAM, LEWIS. - Age, 40 years. Enlisted, August 21, 1862, at Oswego; mustered in as private, Co. A, November 19, 1862, to serve three years; mustered out with company, July 19, 1865, at Raleigh, N.C.
MAXAM, SMITH E. - Age, 19 years. Enlisted, August 19, 1862, at Fulton; mustered in as private, Co. A, November 19, 1862, to serve three years; captured, April 20, 1864, at Plymouth, N.C.; died, date not stated, at Andersonville, Ga.; also borne as Maxon. MAXFIELD, GEORGE. - Age, 18 years. Enlisted, November 6, 1862, at Hillsdale; mustered in as private, Co. E, March 31, 1863, to serve three years; transferred to co. C, date not stated; to Co. G, March 1, 1865; captured, March 21, 1865, at Goldsboro, N.C.; released, April 2, 1865, at Aikens Landing, Va.; discharged, June 26, 1865, at Camp Parole, Annapolis, Md. MAXFIELD, SAMUEL. - Age, 44 years. Enlisted, November 6, 1862, at Hillsdale; mustered in as private, Co. E, March 31, 1863, to serve three years transferred to Co. E, date not stated; discharged, June 17, 1865, at United States Hospital, Troy, N.Y.
MAXSON, ZACHEUS P. - Age, 44 years. Enlisted, September 7, 1864, at Goshen; mustered in as private, Co. M, September 9, 1864, to serve one year; mustered out, June 23, 1865, per General Order No. 83. MAY, WILLIAM B. - Age, 37 years. Enlisted, September 19, 1863, at Buffalo; mustered in as private, Co. L, September 25, 1863, to serve three years; deserted, November 17, 1863, at Buffalo, N.Y.
MAYER, GEORGE. - Age, 25 years. Enlisted, February 13, 1863, at New York; mustered in as private, "unassigned," February 13, 1863, to serve three years; no further record. MAYER, LOUIS. - Age, 22 years. Enlisted, November 29, 1862, at New York; mustered in as private, "unassigned," November 29, 1862, to serve three years; no further record. MAYNARD, EDWARD. - Age, 18 years. Enlisted, November 18, 1862, at New York; mustered in as private, Co. E, MARCH 31, 1863, to serve three years; transferred to Co. C, date not stated; died of disease, May 16, 1865, at residence of L. M. P. King, Washington, D.C.
McABE, MICHAEL. - Age, 44 years. Enlisted, November 11, 1862, at Hudson; mustered in as private, Co. C, February 17, 1863, to serve three years; drowned, June 10, 1863, at New Berne, N.C.
McARTHUR, ROBERT. - Age, 19 years. Enlisted, April 15, 1863, at New York; mustered in as private, Co. F, April 28, 1863, to serve three years; ; captured, April 20, 1864, at Plymouth, N.C.; no further record. McBRIDE, PATRICK. - Age, 23 years. Enlisted, November 25, 1862, at New York; mustered in as private, "unassigned," November 25, 1862, to serve three years; no further record. McCABE, JOHN. - Age, 37 years. Enlisted, February 7, 1863, at New York; mustered in as private, Co. F, April 28, 1863, to serve three years; captured, April 20, 1864, at Plymouth, N.C.; died, July 12, 1864, at Andersonville, Ga.
McCABE, PATRICK. - Age, 36 years. Enlisted, February 16, 1863, at New York; mustered in as corporal, Co. F, April 28, 1863, to serve three years; reduced and appointed farrier, May 20, 1863; captured, April 20, 1864, at Plymouth, N.C.; died, June 26, 1864, at Andersonville, Ga.
McCAFFREY, DANIEL. - Age, 38 years. Enlisted, September 10, 1864, at Schenectady; mustered in as private, Co. H, September 10, 1864, to serve one year; discharged, June 23, 1865, per General Order No. 83. McCAIN, JOHN. - Age, 21 years. Enlisted, November 17, 1862, at Cambridge; mustered in as private, Co. I, March 31, 1863, to serve three years; transferred to Co. B, May 20, 1863; appointed corporal, November 1, 1864; transferred to Co. A, January 1, 1865; reduced, February 25, 1865; mustered out with company, July 19, 1865, at Raleigh, N.C.; also borne as McKane. McCALL, JOHN C. - Age, dates and place of enlistment and muster in, not stated; assigned as private to Co. K, May 3, 1864; transferred to Second New York Cavalry, November 17, 1864, by order of Secretary of War; see Second Veteran Cavalry. McCALLISTER, JAMES. - Age, 21 years. Enlisted, October 17, 1863, at New York; mustered in as private, Co . M, November 24, 1863, to serve three years; appointed farrier, date not stated; deserted to the enemy, May 28, 1864, from Camp Palmer. McCALY, MICHAEL, see McCarthy, Michael. McCANN, ANDREW. - Age, 32 years. Enlisted, January 20, 1863, at Buffalo; mustered in as private, Co. E, January 20, 1863, to serve three years; no further record. McCARTHY, JOHN. - Age, 22 years. Enlisted, July 10, 1863, at Troy; mustered in as private, "unassigned," July 10, 1863, to serve three years; no further record. McCARTHY, MICHAEL. - Age, 19 years. Enlisted, October 11, 1864, at Cheektowaga; mustered in as private, Co. E, October 11, 1864, to serve one year; mustered out with company, July 19, 1865, at Raleigh, N.C.; also borne as McCaly. McCARTHY, PATRICK. - Age, 18 years. Enlisted, December 9, 1863, at Amherst; mustered in as private, Co. M, December 9, 1863, to serve three years; in confinement at time of muster out of company, July 19, 1865; no further record. McCARTHY, TIMOTHY. - Age, 27 years. Enlisted, December 29, 1862, at Syracuse, mustered in as private, Co. B; March 31, 1863, to serve three years; no further record. McCAU, ANDREW. - Age, 32 years. Enlisted, January 20, 1863, at West Seneca; mustered in as private, "unassigned," to serve three years; no further record. McCAUL, JOHN. - Age, 18 years. Enlisted, September 7, 1863, at Buffalo; mustered in as private, Co. L, September 25, 1863, to serve three years; mustered out with company, July 19, 1865, at Raleigh, N.C.
McCAULEY, JOHN. - Age, 22 years. Enlisted, December 9, 1862, at Buffalo; mustered in as private, Co. L, December 10, 1862, to serve three years; no further record. McCLANE, JAMES H. - Age, 23 years. Enlisted, September 17, 1863 at Buffalo; mustered in as private, Co. L, September 25, 1863, to serve three years; deserted, October 3, 1863, at Staten Island, N.Y.; also borne as McLane. McCLEARY, DANIEL B. - Age, 21 years. Enlisted, September 12, 1864, at Albany; mustered in as private, Co. L, September 12, 1864, to serve three years; mustered out, June 20, 1865, at Halifax, N.C.
McCONIC, EDWARD, see McCormick, Edward. McCOOK, JAMES. - Age, 22 years. Enlisted, December 22, 1863, at New York; mustered in as private, Co. E, December 22, 1863, to serve three years; appointed corporal, July 7, 1864; mustered out with company, July 19, 1865, at Raleigh, N.C.; prior service in first New York Infantry. McCORMICK, EDWARD. - Age, 18 years. Enlisted, September 5, 1863, at Buffalo; mustered in as private, Co. L, September 25, 1863, to serve three years; died of disease, November 17, 1863, in Regimental Hospital; also borne as McConic. McCORMICK, JAMES. - Age, 21 years. Enlisted, November 23, 1863, at New York; mustered in as private, Co. M, November 24, 1863, to serve three years; deserted, December 19, 1863, from Governors Island, New York Harbor. McCOY, JOHN, see McKey, John. McCOY, MICHAEL. - Age, 21 years. Enlisted, July 4, 1863, at Oswego; mustered in as private, Co. I, September 2, 1863, to serve three years; mustered out with company, July 19, 1865, at Raleigh, N.C.
McCRADY, JOHN, see McGrady, John. McCRANEY, THOMAS A. - Age, 28 years. Enlisted, September 14, 1864, at Avon; mustered in as private, Co. I, September 14, 1864, to serve three years; discharged, June 23, 1865, at Tarboro, N.C.
McCREADY, JOHN. - Age, 21 years. Enlisted, December 18, 1863, at New York; mustered in as private, "unassigned," December 18, 1863, to serve three years; no further record. McCRELLSON, CHARLES. - Age, 18 years. Enlisted, January 13, 1864, at Washington, N.Y.; mustered in as private, "unassigned," January 16, 1864, to serve three years; no further record. McCUE, JOHN. - Age, 35 years. Enlisted, April 18, 1863, at New York; mustered in as private, Co. F, April 28, 1863, to serve three years; captured, July 21, 1863, at Tarboro, N.C.; paroled, August, 1863; deserted August 18, 1863, from Camp Parole, Annapolis, Md. McCULLEN, LAWRENCE. - Age, 38 years. Enlisted, February 24, 1863, at Ogdensburg; mustered in as private, Co. E, March 31, 1863, to serve three years; appointed corporal, April 23, 1863; transferred to Co. C, May 20, 1863; reduced, November 8, 1863; transferred to Co. G, March 1, 1865; absent, sick in Foster General Hospital, at time of muster out of company, July 19, 1865; no further record; also borne as Lamanor McCullen. McCULLEY, JOHN. - Age, 23 years. Enlisted as a private, "unassigned," August 27, 1863, at Buffalo, to serve three years; no further record. McDERMID, JOHN, see McDermott, John. McDERMOTT, DUNCAN. - Age, 25 years. Enlisted, December 16, 1862, at Ogdensburg; mustered in as private, Co. E, March 31, 1863, to serve three years; no further record. McDERMOTT, JOHN. - Age, not stated. Enlisted, October 10, 1864, at Buffalo; mustered in as private, Co. L, October 10, 1864, to serve three years; transferred to Co. A, January 1, 1865; deserted, July 4, 1865, expiration of leave. McDERMOTT, THOMAS. - Age, 32 years. Enlisted, November 6, 1862, at New York; mustered in as private, Co. I, March 31, 1863, to serve three years; appointed corporal and transferred to Co. B, May 20, 1863; reduced, June 20, 1863; mustered out with company, July 19, 1865, at Raleigh, N.C.
McDIARMID, DONALD. - Age, 27 years. Enlisted, January 28, 1863, at Buffalo; mustered in as corporal, Co. F, January 28, 1863, to serve three years; reduced and transferred to Co. E, May 20, 1863; appointed corporal in July, 1863; wounded at Fosters Mills, July 27, 1863; died from wounds, November 1, 1863, in hospital at Plymouth, N.C.
McDONALD, ANGUS. - Age, 45 years. Enlisted, December 2, 1862, at Buffalo; mustered in as private, Co. H, December 2, 1862, to serve three years; no further record. McDONALD, ARCHIBALD. - Age, 27 years. Enlisted, November 27, 1863, at Brooklyn; mustered in as private, Co. D, date not stated, to serve three years; mustered out with company, July 19, 1865, at Raleigh, N.C.; veteran recruit; prior service, not given; also borne as Archibald P. McDonald. McDONALD, DANIEL. - Age, 20 years. Enlisted, January 3, 1863, at Oswego; mustered in as private, Co. B, March 31, 1863, to serve three years; no further record. McDONALD, GEORGE E. - Age, 22 years. Enrolled, March 26, 1863, at Albany; mustered in as assistant surgeon, March 30, 1863, to serve three years; surgeon, to date May 20, 1864; mustered out with company, July 19, 1865, at Raleigh, N.C. Commissioned assistant surgeon, November 20, 1863, with rank from March 26, 1863, original; surgeon, July 8, 1864, with rank from may 13, 1864, vice Mundy, discharged. McDONALD, JAMES. - Age, 20 years. Enlisted, September 15, 1864, at Phelps; mustered in as private, Co. H, September 15, 1864, to serve one year; captured, March 8, 1865, at Wises Forks, N.C.; returned to company, June 20, 1865;; discharged, June 23, 1865, per General Order No. 83. McDONALD, JOHN. - Age, 21 years. Enlisted, December 4, 1863, at New York; mustered in as private, "unassigned," December 6, 1863, to serve three years; no further record. McDONALD, JOHN. - Age, 39 years. Enlisted, August 16, 1862, at Oswego; mustered in as private, Co. A, November 19, 1862, to serve three years; no further record. McDONALD, JOHN. - Age, 23 years. Enlisted, September 13, 1864, at Troy; to serve three years; Co. L, September 13, 1864, to serve one year; captured at Hookerton, N.C., April 3, 1865; returned to duty, June 20, 1865; discharged, June 27, 1865, at Untied States Army General Hospital, Annapolis, Md. McDONALD, THOMAS, see McDonnell, Thomas. McDONALD, WILLIAM. - Age, 32 years. Enlisted, January 7, 1864, at New York; mustered in as private, "unassigned," January 7, 1864, to serve three years; no further record. McDONNELL, THOMAS. - Age, 26 years. Enlisted, March 27, 1863, at New York; mustered in as private, Co. F, April 28, 1863, to serve three years; appointed blacksmith, May 20, 1863, captured, April 20, 1864, at Plymouth, N.C.; died, on or about November 28, 1864, at Florence, S.C.; also borne as McDonald. McDOUGAL, GEORGE. - Age, 22 years. Enlisted, December 10, 1862, at Buffalo; mustered in as private, Co. L, December 10, 1862, to serve three years; no further record; also borne as McDoughal. McDOWELL, WILLIAM. - Age, 24 years. Enlisted, September 8, 1863, at Buffalo; mustered in as private, Co. L, September 25, 1863, to serve three years; appointed corporal, October 3, 1863; reduced, October 27, 1863; wounded and captured, April 16, 1864, at Beaver Creek, near Kingston, N.C.; prior service in Twenty-sixth New York Volunteers; no further record. McELLROY, JAMES. - Age, 20 years. Enlisted, July 29, 1863; mustered in as private, Co. I, September 2, 1863, to serve three years; mustered out with company, July 19, 1865, at Raleigh, N.C.
McFEE, ALBERT. - Age, 21 years. Enlisted, August 12, 1863, at Buffalo; mustered in as sergeant, Co. K, September 120, 1863, to serve three years; mustered out with company, July 19, 1865, at Raleigh, N.C.
McGILL, JOHN. - Borne as private, Co. D, without remarks; mustered out with company, July 19, 1865, at Raleigh, N.C.
McGLORIE, JOHN. - Age, 25 years. Enlisted, September 14, 1864, at Troy; mustered in as private, Co. K, September 14, 1864, to serve one year; discharged, June 14, 1865, at Raleigh, N.C.; also borne as McGlone. McGOWAN, JOHN. - Age, 23 years. Enlisted, November 17, 1862, at Buffalo; mustered in as private, Co. H, November 17, 1862, to serve three years; no further record; also borne as McGoven. McGRADY, JOHN. - Age, 21 years. Enlisted, December 18, 1863, at New York; mustered in as private, Co. E, December 18, 1863, to serve three years; appointed corporal, June 25, 1864;; mustered out with company, July 19, 1865, at Raleigh, N.C.; also borne as McCrady. McGRATH, LUKE P. - Age, 25 years. Enlisted, October 31, 1862, at Troy; mustered in as private, Co. B, March 31, 1863, to serve three years; no further record. McGUIRE, DANIEL D. - Age, 22 years. Enlisted, August 29, 1864, at Troy; mustered in as private, Co. C, August 29, 1864, to serve three years; mustered out, May 23, 1865, at New Berne, N.C.
McGUIRE, EDWARD. - Age, 19 years. Enlisted, September 14m 1863, at Troy; mustered in as private, Co. M, November 24, 1863, to serve three years; absent, in confinement, at time of muster out of company, July 19, 1865; no further record. McGUIRE, FRANK. - Age, 22 years. Enlisted, November 15, 1862, at New York; mustered in as private, "unassigned," November 15, 1862, to serve three years; no further record. McGURK, JOHN. - Age, 18 years. Enlisted, December 4, 1862, at Schenectady; mustered in as private, Co. C, February 17, 1863, to serve three years; mustered out with company, July 19, 1865, at Raleigh, N.C.
McINTROYED, WALTER, see McTroyd, Walter. McINTYRE, JAMES. - Age, 24 years. Enlisted, July 2, 1863, at Troy; mustered in as private, "unassigned," July 2, 1863, to serve three years; no further record. McINTYRE, STEPHEN. - Age, 43 years. Enlisted, November 26, 1862, at Buffalo; mustered in as teamster, Co. H, November 26, 1862, to serve three years; no further record. McKANA, OWEN. - Age, 32 years. Enlisted, November 28, 1862, at Buffalo; mustered in as private, Co. L, November 29, 1862, to serve three years; no further record; also borne as McKane. McKANE, JOHN, see McCain, John. McKENNA, FRANCIS. - Age, 21 years. Enlisted, July 25, 1863, at New York; mustered in as private, Co. G, August 7, 1863, to serve three years; captured, February 18, 1865; paroled, date not stated; discharged, May 24, 1865, at Ladies Home Hospital, New York. McKENNA, JAMES. - Age, 30 years. Enlisted, January 27, 1863, at Fort Covington; mustered in as sergeant, Co. F, April 28, 1863, to serve three years; wounded, July 20, 1863, at Tarboro, N.C.; appointed commissary sergeant, November 26, 1863; lost an arm, July 20, 1863, in skirmish at Tarboro, N.C.; discharged for disability, November 26, 1863. McKENNA, NEIL. - Age, 41 years. Enlisted, March 23, 1863, at New York; mustered in as corporal, Co. F, April 28, 1863, to serve three years; captured April 20, 1864, at Plymouth, N.C.; died, February 12, 1865, at Andersonville, Ga.
McKEY, JOHN. - Age, 43 years. Enlisted, November 25, 1862, at Ogdensburg; mustered in as private, Co. E, March 31, 1863, to serve three years; transferred to Co. C, May 20, 1863; mustered out, July 31, 1865, at New York; also borne as McCoy. McKEOWIN, PETER. - Age, 27 years. Enlisted, May 18, 1863, at New York; mustered in as private, Co. F, May 18, 1863, to serve three years; transferred to Co. A, January, 1865; mustered out with company, July 19, 1865, at Raleigh, N.C.; also borne as McKewin. McKEVER, SAMUEL. - Age, 25 years. Enlisted, September 17, 1864, at Amboy; mustered in as private, Co. D, September 17, 1864, to serve one year; discharged, June 23, 1865, at Tarboro, N.C.
McKEWIN, PETER, see McKeowin, Peter. McKINNEY, GEORGE B. - Age, 21 years. Enlisted, September 17, 1863, at New York; mustered in as private, Co. M, November 24, 1863, to serve three years; appointed sergeant, November 24, 1863; reduced, May 1, 1864; discharged, April 28, 1864, for enlistment in United States Navy; prior service in First Maine Artillery. McLANE, JAMES H., see McClane, James H.
McLANE, WILLIAM. - Age, 18 years. Enlisted, August 18, 1863, at Buffalo; mustered in as private, Co. K, September 10, 1863, to serve three years; captured, April 11, 1865, at Faison Station; date of release not stated; mustered out, July 1, 1865, at Elmira, N.Y.
McLAUGHLIN, MICHAEL G. - Age, 32 years. Enlisted, November 10, 1862, at Buffalo; mustered in as private, Co. H, November 10, 1862, to serve three years; no further record. McLAUGHLIN, MICHAEL. - Age, 22 years. Enlisted, July 24, 1863, at Buffalo; mustered in as private, Co. H, August 27, 1863, to serve three years; died, August 30, 1863, at Staten Island, N.Y.
McLOUGHLIN, JAMES, see MacLaughlin, James. McMANN, JOHN. - Age, 40 years. Enlisted, August 25, 1862, at Oswego; mustered in as private, Co. B, November 19, 1862, to serve three years; discharged, June 7, 1865, at General Hospital, Troy, N.Y.
McMILLAN, JAMES. - Age, 23 years. Enlisted, May 2, 1863, at Buffalo; mustered in as private, Co. E, May 2, 1863, to serve three years; transferred to Co. D, May 20, 1863; appointed corporal, January 1, 1864; mustered out with company, July 19, 1865, at Raleigh, N.C.
McMULLEN, PETER. - Age, 19 years. Enlisted, December 4, 1862, at Oswego; mustered in as private, Co. B, March 31, 1863, to serve three years; no further record. McNAMARA, DENNIS. - Age, 25 years. Enlisted, March 2, 1864, at Troy; to serve three years; Co. G, March 3, 1864, to serve three years; appointed corporal, March 29, 1865; sergeant, May 15, 1865; mustered out with company, July 19, 1865, at Raleigh, N.C.
McNAMARA, WILLIAM, see Mack, William. McNEIL, ANDREW. - Age, 18 years. Enlisted, June 18, 1863, at Troy; mustered in as private, "unassigned," June 18, 1863, to serve three years; no further record. McNEIL, THEODORE. - Age, 28 years. Enlisted, September 9, 1864, at Syracuse; mustered in as private, "unassigned," September 9, 1864, to serve one year; no further record. McPHAIL, JAMES D. - Age, 21 years. Enlisted, July 29, 1863, at Syracuse; mustered in as private, Co. I, September 2, 1863, to serve three years; appointed quartermaster sergeant, date not stated; reduced, March 26, 1864; appointed quartermaster sergeant, April 16, 1864; first sergeant, February 16, 1865; mustered out, June 8, 1865, at United States General Hospital, Troy, N.Y.
McTAVISH, DUNCAN. - Age, 37 years. Enlisted, March 19, 1863, at Syracuse; to serve three years; Co. G, August 7, 1863, to serve three years; appointed blacksmith, September 15, 1863; mustered out with company, July 19, 1865, at Raleigh, N.C.
McTEIGH, BERNARD. - Age, 18 years. Enlisted, May 29, 1863, at New York, as private, Co. G, to serve three years; name erased from muster-in roll; no further record. McTROYD, WALTER. - Age, 19 years. Enlisted, December 10, 1862, at Hudson; to serve three years; Co. E, March 31, 1863; to serve three years; transferred to Co. C, May 20, 1863; captured, June 6, 1863, at Washington, N.C.; appointed corporal, February 14, 1865, absent, without leave, at time company was mustered out, July 19, 1865; also borne as McIntroyed, Walter; no further record. MEAD, JAMES. - Age, 39 years. Enlisted, December 13, 1862, at Buffalo; to serve three years; Co. L, December 13, 1862, to serve three years; no further record. MEAD, WILLIAM. - Age 21 years. Enlisted, November 25, 1862, at New York; mustered in as private, "unassigned," November 25, 1862, to serve three years; no further record. MEAGHER, FRANCIS. - Age, 27 years. Enlisted, December 10, 1863, at New York; to serve three years; "unassigned," December 10, 1863, to serve three years; no further record. MEARS, PHILO H. - Age, 21 years. Enlisted, December 11, 1862, at Charlton; mustered in as private, Co. E, March 31, 1863, to serve three years; transferred to Co. C, May 20, 1863; captured, August 19, 1863, at Washington, N.C.; returned to duty, May or June, 1864; discharged for disability, June 1, 1865, at Grant General Hospital, Willetts Point, N.Y.
MEECH, ROBERT D. - Age, 28 years. Enrolled, October 3, 1862, at Albany; mustered in as second lieutenant, Co. E, February 12, 1863, to serve three years; discharged, June 23, 1863. Not commissioned. MEEGAN, JOHN. - Age, 25 years. Enlisted, November 22, 1862, at Buffalo; mustered in as private, Co. L, November 24, 1862, to serve three years; no further record. MEEHAN, JOHN. - Age, 41 years. Enlisted, July 27, 1863, at Troy; mustered in as private, Co. I, September 2, 1863, to serve three years; mustered out with company, July 19, 1865, at Raleigh, N.C.; prior service in One Hundred and Forty second New York Volunteers. MEISSNER, HENRY. - Age, 30 years. Enlisted, December 23, 1862, at New York; mustered in as private, "unassigned," December 23, 1862, to serve three years; no further record. MELLEN, JAMES C. - Age, 21 years. Enlisted, November 26, 1862, at New York; mustered in as private, "unassigned," November 26, 1862, to serve three years; no further record. MELVILLE, HENRY C. - Age, 20 years. Enlisted, May 28, 1863, at New York; mustered in as private, Co. I, December 2, 1863, to serve three years; transferred to Co. C, March 4, 1864; mustered out with company, July 19, 1865, at Raleigh, N.C.; also borne as Millvilt. MELVIN, EDWARD. - Age, 40 years. Enlisted, January 17, 1863, at Buffalo; mustered in as private, Co. L, January 17, 1863, to serve three years; no further record. MENSCH, WILLIAM. - Age, 19 years. Enlisted, November 10, 1862, at Buffalo; mustered in as corporal, Co. H, November 10, 1862 to serve three years; reduced and transferred to Co. E, May 20, 1863; died, January 13, 1865, at Regimental Hospital, New Berne, N.C.; also borne as Minch. MEONLEY, JOHN. - Age, 27 years. Enlisted, at New York; mustered in as private, Co. E, dates not stated, to serve one year; joined company, December 1864; mustered out with detachment, June 14, 1865, at Raleigh, N.C.
MERCER, HENRY. - Age, 19 years. Enlisted, December 18, 1862, at Plattsburgh, as private, Co. F, to serve three years; deserted, prior to muster in of company, April 28, 1863. MERRILL, JOHN. - Age, 18 years. Enlisted, November 20, 1862, at Stephentown; mustered in as private, Co. I, March 31, 1863, to serve three years; transferred to Co. E, May 20, 1863; deserted, May 21, 1863, from Staten Island, N.Y.
MERRILL, JOHN W. - Age, 39 years. Enlisted, November 20, 1862, at Stephentown; mustered in as private, Co. B, March 31, 1863, to serve three years; no further record. MERRITT, GEORGE O. - Age, 21 years. Enlisted, August 5, 1863, at Oswego; mustered in as private, Co. I, September 2, 1863, to serve three years; appointed corporal, June 19, 1864; sergeant, February 16, 1865; died of disease, April 10, 1865, at General Hospital, Kingston, N.C.
MESSIG, CONRAD. - Age, 19 years. Enlisted, October 13, 1863, at Buffalo; mustered in as private, Co. M, November 24, 1863, to serve three years; appointed corporal, November 24, 1863; sergeant, January 13, 1864; deserted, July 4, 1865, at Weldon, N.C.
MESZAROS, EMERICK. - Age, 38 years. Enlisted, August 25, 1863, at New York; mustered in as private, Co. M, November 24, 1863, to serve three years; discharged, June 3, 1864, by reason of promotion to captain, First N.C. United States Volunteers. METZGER, HENRY. - Age, 18 years. Enlisted, October 20, 1863, at Buffalo; mustered in as private, Co. M, November 24, 1863, to serve three years; absent, in confinement, at time of muster out of company, July 19, 1865; no further record. METZGER, JEROME. - Age, 31 years. Enlisted, September 10, 1864, at Salina; mustered in as private, Co. G, September 10, 1864, to serve one year; died of disease, February 1, 1865, at Foster General Hospital, New Berne, N.C.
MEYER, ALBERT. - Age, 18 years. Enlisted, August 25, 1863, at Buffalo; mustered in as private, Co. K, September 10, 1863, to serve three years; appointed corporal, December 28, 1864; mustered out with company, July 19, 1865, at Raleigh, N.C.; also borne as Myer. MEYER, AUGUST. - Age, 24 years. Enlisted, December 10, 1862, at New York; mustered in as private, "unassigned," December 10, 1862, to serve three years; no further record. MEYERS, HENRY. - Age, 21 years. Enlisted, January 5, 1863, at Buffalo; mustered in as sergeant, Co. F, January 5, 1863, to serve three years; reduced and transferred to Co. E, May 20, 1863; appointed corporal, September 25, 1863; reduced, November or December, 1863; mustered out, July 18, 1865, at New Berne, N.C.
MEYER, HENRY. - Age, 35 years. Enlisted, December 23, 1862, at New York; mustered in as private, "unassigned," December 23, 1862, to serve three years; no further record. MEYERS, JOSEPH, see Myers, Joseph. MICHAELOWSKY, SIMON. - Age, 20 years. Enlisted, December 16, 1862, at New York; mustered in as private, "unassigned," December 16, 1862, to serve three years; no further record. MIDDLEBROOK, CALVIN. - Age, 44 years. Enlisted, January 4, 1864, at Amenia; mustered in as private, Co. G, January 12, 1864, to serve three years; mustered out with company, July 19, 1865, at Raleigh, N.C.
MIDDLEBROOK, OAKLEY. - Age, 25 years. Enlisted, January 4, 1864, at Amenia; mustered in as private, Co. G, January 16, 1864, to serve three years; mustered out with company, July 19, 1865, at Raleigh, N.C.
MIDLAN, FRANCIS. - Age, 21 years. Enlisted, August 19, 1862, at Fulton; mustered in as private, Co. A, November 19, 1862, to serve three years; appointed corporal, July 1, 1863; captured, April 20, 1864, at Plymouth, N.C.; died, date not stated, at Andersonville, Ga.
MIERS, JOHN, see Mairs, John. MILAN, THOMAS J. - Age, 21 years. Enlisted, August 15, 1862, at Oswego; mustered in as corporal, Co. A, November 19, 1862, to serve three years; reduced, May 20, 1863; appointed corporal, July 1, 1863; commissary sergeant, April 1, 1864; captured, April 20, 1864, at Plymouth, N.C.; died, September 6, 1864, at Andersonville, Ga.
MILEGAN, CHARLES. - Age, 23 years. Enlisted, as a private, "unassigned," July 28, 1863, at Troy, to serve three years; no further record. MILLER, ANDREW. - Age, 20 years. Enlisted, November 8, 1862, at Hudson; mustered in as private, Co. C, February 17, 1863, to serve three years; mustered out with company, July 19, 1865, at Raleigh, N.C.
MILLER, ANTHONY. - Age, 21 years. Enlisted, January 26, 1864, at Brooklyn; mustered in as private, Co. K, January 26, 1864, to serve three years; captured on picket, June 5, 1864, at New Berne, N.C.; released, date not stated; mustered out with company, July 19, 1865, at Raleigh, N.C.; also borne as Mller. MILLER, CARL E. - Age, 34 years. Enlisted, July 17, 1863, at New York; mustered in as private, Co. G, August 7, 1863, to serve three years; absent, sick in northern hospital at time of muster out of company, July 18, 1865; no further record. MILLER, CHARLES. - Age, 24 years. Enlisted, April 22, 1863, at New York; mustered in as private, Co. F, April 22, 1863, to serve three years; transferred to Co. E, May 20, 1863; deserted, May 21, 1863, at Staten Island. MILLER, CHARLES. - Age, 21 years. Enlisted, January 10, 1863, at Buffalo; mustered in as corporal, Co. H, January 10, 1863, to serve three years; reduced and transferred to Co. E, May 20, 1863; mustered out with company, July 19, 1865, at Raleigh, N.C.
MILLER, CHARLES E. - Age, 18 years. Enlisted, October 30, 1863, at Buffalo; mustered in as private, Co. M, November 24, 1863, to serve three years; died of disease, September 30, 1864, in General Hospital, New Berne, N.C.
MILLER, CUTHBERT. - Age, 27 years. Enlisted, August 31, 1863, at New York; mustered in as private, Co. I, September 2, 1863, to serve three years; appointed corporal, November or December 1863; sergeant, July 22,1 864; reduced, August 5, 1864; appointed corporal, February 16, 1865; mustered out with company, July 19, 1865, at Raleigh, N.C.
MILLER, HENRY. - Age, 21 years. Enlisted, August 21, 1863, at Buffalo, to serve three years; name erased from muster-in roll of Co. K; no further record. MILLER, HENRY. - Age, 26 years. Enlisted, September 28, 1864, at Sardinia; mustered in as private, Co. H, September 28, 1864, to serve one year; discharged, June 23, 1865, per General Order No. 83. MILLER, HENRY H. - Age, 25 years. Enlisted, November 5, 1862, at Clairmount; mustered in as private, Co. C, February 17, 1863, to serve three years; appointed corporal, July 1, 1864; mustered out with company, July 19, 1865, at Raleigh, N.C.
MILLER HENRY H. - Age, 21 years. Enlisted, December 22, 1862, at Buffalo; mustered in as private, Co. L, December 22, 1862, to serve three years; no further record. MILLER, JAMES M. - Age, 23 years. Enlisted, May 2, 1863, at Buffalo; mustered in as corporal, "unassigned," May 2, 1863, to serve three years; no further record. MILLER JOHN. - Age, 18 years. Enlisted, March 26, 1863, at Buffalo; mustered in as private, Co. E, March 26, 1863, to serve three years; wounded, July or August, 1863; captured, March 31, 1865, at Snow Hill, N.C.; date of release, not stated; mustered out, June 23, 1865, at New York. MILLER, JOHN. - Age, 19 years. Enlisted, January 19, 1864, at New York; mustered in as private, Co. A, January 19, 1864, to serve three years; captured, April 20, 1864, at Plymouth, N.C.; died, date not stated, at Andersonville, Ga.
MILLER, JOHN A. - Age, 19 years. Enlisted, February 15, 1864, at New York; mustered in as private, "unassigned," to serve three years; no further record. MILLER, JOHN F. - Age, 19 years. Enlisted, August 15, 1862, at Oswego; mustered in as sergeant, Co. A, November 19, 1862, to serve three years; killed in action, July 20, 1863, at Tarboro, N.C.; also borne as John P. Miller. MILLER, JOHN W. - Age, 37 years. Enlisted, in Co. D, October 8, 1863, at Buffalo, to serve three years; name erased on muster-in roll; no further record. MILLER, LEWIS. - Age, 19 years. Enlisted, August 26, 1863, at Buffalo; mustered in as private, Co. L, September 25, 1863, to serve three years; discharged, May 17, 1864, for transfer to United States Navy; prior service in Thirty-seventh New York Volunteers. MILLER, SAMUEL. - Age, 26 years. Enlisted, as a private, "unassigned," July 30, 1863, at Troy, to serve three years; no further record. MILLER, SYLVESTER W. - Age, 38 years. Enlisted, September 13, 1864, at Chemung; mustered in as private, Co. G, September 13, 1864, to serve one year; appointed corporal, May 18, 1865; mustered out, June 23, 1865, at Greensboro, N.C.
MILLINGTON, GEORGE. - Age, 22 years. Enlisted, November 18, 1862, at Buffalo; mustered in as private, Co. H, November 19, 1862, to serve three years; transferred to Co. E, date not stated; to Co. D, May 20, 1863; discharged, June 9, 1865, at Albany, N.Y.
MILLINGTON, JEROME. - Age, 29 years. Enlisted, September 4, 1862, at Volney; mustered in as private, Co. B, November 19, 1862, to serve three years; appointed quarter master sergeant, November 19, 1862; reduced, May 20, 1863; discharged for disability, September 25, 1863, at United States General Hospital, Beaufort, N.C.
MILLS, ALFRED. - Age, 21 years. Enlisted, August 11, 1863, at New York; mustered in as private, Co. I, September 2, 1863, to serve three years; absent, under sentence of general court-martial; at time of muster out of company, July 19, 1865; no further record. MILLS, CHARLES. - Age, 21 years. Enlisted, December 2, 1862, at New York; mustered in as private, "unassigned," December 6, 1862, to serve three years; no further record. MILLS, GEORGE. - Age, 21 years. Enlisted, January 4, 1862, at Buffalo; mustered in as private, Co. D, to serve three years; no further record. MILLS, JOHN. - Age, 41 years. Enlisted, July 24, 1863, at Buffalo; mustered in as corporal, Co. H, August 27, 1863, to serve three years; appointed quartermaster sergeant, December 17, 1863; reduced to ranks, February 22, 1864; appointed corporal, July 11, 1864; captured, March 8, 1865, at Wises Forks, N.C.; returned to company, June 20, 1865; mustered out with company, July 19, 1865, at Raleigh, N.C.; prior service in Twenty-first New York Volunteers. MILLS, LEWIS. - Age, 26 years. Enlisted, August 3,1 864, at Poughkeepsie; mustered in as private, "unassigned," August 3, 1864, to serve one year; discharged, may 8, 1865, at Harts Island, New York Harbor. MILLS, SAMUEL. - Age, 24 years. Enlisted, January 2, 1863, at Buffalo; mustered in as private, Co. D, January 2, 1863, to serve three years; transferred to Co. A, May 20, 1863; captured, April 20, 1864, at Plymouth, N.C.; died, date not stated, at Andersonville, Ga.
MILLVILT, HENRY C., see Melville, Henry C.
MILROY, ALEXANDER. - Age, 27 years. Enlisted, August 30, 1864, at Albany; mustered in as private, "unassigned," September 1, 1864, to serve one year; mustered out, May 8, 1865, at Harts Island, New York Harbor. MINCH, WILLIAM, see Mensch, William. MINER, JOHN D. - Age, 34 years. Enlisted, December 8, 1862, at Granville, as private, "unassigned," to serve three years; no further record. MINKLER, JAMES P. - Age, 19 years. Enlisted, September 8, 1862, at Austerlitz; mustered in as private, Co. C, February 17, 1863, to serve three years; deserted, February 13, 1864, while on furlough. MITCHARD, AUSTIN. - Age, 29 years. Enlisted, December 1, 1862, at Syracuse; mustered in as farrier, Co. G, August 7, 1863, to serve three years; reduced and appointed teamster, October 16, 1863; reduced, March 31, 1864; appointed teamster, November 1, 1864; mustered out with company, July 19, 1865, at Raleigh, N.C.
MITCHELL, HENRY. - Age, 28 years. Enlisted, November 10, 1862, at Buffalo; mustered in as private, Co. H, November 10, 1862, to serve three years; no further record. MITCHELL, JAMES. - Age, Borne only on casualty return as private, Co. A, dates and place of enlistment and muster in, not stated; deserted to the enemy, April 23, 1865, at New Berne, N.C.
MITCHELL, JOHN. - Age, 25 years. Enlisted, December 31, 1862, at Buffalo; mustered in as private, Co. E, January 2, 1863, to serve three years; no further record. MITCHELL, ROBERT. - Age, 18 years. Enlisted, January 13, 1864, at Amenia; mustered in as private, "unassigned," January 15, 1864, to serve three years; no further record. MITCHELL, SAMUEL. - Age, 44 years. Enlisted, January 4, 1864, at New York; mustered in as private, Co. K, January 4, 1864, to serve three years; mustered out with company, July 19, 1865, at Raleigh, N.C.
MITCHELL, TRUMAN W. - Age, 38 years. Enlisted, December 8, 1862, at Buffalo; mustered in as private, Co. D, December 8, 1862, to serve three years; transferred to Co. A, May 20, 1863; captured, July 20, 1863, at Tarboro, N.C.; date of release, not stated; arrested, April, 1864; claimed as a deserter from Eighty-first New York Volunteer Infantry; not transferred; present in August, 1864; borne on muster-out roll as discharged from General Hospital, date not stated. MIX, ALBERT J. - Age, 21 years. Enlisted, November 12, 1862, at Buffalo; mustered in as private, Co. D, November 12, 1862, to serve three years; transferred to Co. A, May 20, 1863; captured, April 20, 1864, at Plymouth, N.C.; paroled, April 15, 1865, at Annapolis, Md. ; mustered out, June 27, 1865, at New York. MOFFATT, CALVIN. - Age, 28 years. Enlisted as a private, "unassigned," August 26, 1863, at Buffalo, to serve three years; no further record. MOGLE, FREDERICK. - Age, 22 years. Enlisted, August 18, 1863, at Troy; mustered in as private, Co. I, September 2, 1863, to serve three years; deserted, September 22, 1863, at Staten Island. MOGLE, GEORGE. - Age, 27 years. Enlisted, August 29, 1863, at Troy, to serve three years; name crossed on muster-in roll, Co. I; no further record. MONAGHAN, JOHN. - Age, 22 years. Enlisted, January 9, 1863, at Buffalo; mustered in as private, Co. E, January 9, 1863, to serve three years; no further record. MONK, EDWARD. - Age, 19 years. Enlisted, September 9, 1864, at Albany; mustered in as private, Co. L, September 9, 1864, to serve one year; captured at Goldsboro, N.C., date not stated; mustered out, June 26, 1865, at Annapolis, Md. MONKMON, FRANCIS. - Age, 20 years. Enlisted, January 22, 1864, at New York; mustered in as private, Co. C, January 22, 1864, to serve three years; transferred to Co. G, December 1, 1864; captured, March 26, 1865, at Snow Hill, N.C.; released, May 5, 1865; discharged, June 30, 1865, at New York. MONROE, CHESTER. - Age, 41 years. Enlisted, September 29, 1864, at Canisteo; mustered in as private, Co. M, October 3, 1864, to serve one year; appointed wagoner, October 23, 1864; mustered out with company, July 19, 1865, at Raleigh, N.C.
MONROE, JAMES. - Age, 25 years. Enlisted, September 28, 1864, at Buffalo; mustered in as private, Co. K, September 28, 1864, to serve three years; mustered out with company, July 19, 1865, at Raleigh, N.C.
MONROE, JOHN H. - Age, 21 years. Enlisted, September 26, 1864, at Salina; mustered in as private, "unassigned," September 26, 1864, to serve three years; no further record. MONTAGE, JAMES. - Age, 22 years. Enlisted, September 8, 1864, at Poughkeepsie; mustered in as private, Co. M, September 8, 1864, to serve one year; mustered out, June 23, 1865, per General Order No. 83. MONTGOMERY, JAMES S. - Age, 20 years. Enlisted, October 19, 1864, at New York; mustered in as private, Co. A, October 19, 1864, to serve one year; died July 11, 1865, at Tarboro, N.C.
MONTGOMERY, JOHN. - Age, 30 years. Enlisted, October 7, 1864, at Buffalo; mustered in as private, Co. M, October 7, 1864, to serve three years; mustered out with company, July 19, 1865, at Raleigh, N.C.
MONTGOMERY, WILLIAM. - Age, 25 years. Enlisted, December 17, 1862, at New York; mustered in as private, "unassigned," December 17, 1862, to serve three years; no further record. MOONEY, JAMES. - Age, 30 years. Enlisted, November 20, 1862, at New York; mustered in as private, Co. F, November 20, 1862, to serve three years; transferred to Co. E, May 20, 1863; borne as teamster, July and August, 1863, died December 10, 1863, in camp at Rocky Run, N.C.
MOORE, EDWARD. - Age, 21 years. Enlisted, January 17, 1863, at Buffalo; mustered in as private, Co. L, January 17, 1863, to serve three years; no further record. MOORE, JAMES. - Age, 25 years. Enlisted, December 4, 1862, at New York; mustered in as private, "unassigned," December 4, 1862, to serve three years; no further record. MOORE, JOHN. - Age, 21 years. Enlisted, February 3, 1863, at Fort Covington, as private, Co. F, to serve three years; deserted, prior to date of muster in of company, April 28, 1863. MOORE, MICHAEL. - Age, 21 years. Enlisted, November 18, 1862, at Buffalo; mustered in as private, Co. H, November 19, 1862, to serve three years; no further record. MOORE, MOSES. - Age, 23 years. Enlisted, November 22, 1862, at Buffalo; mustered in as private, Co. D, November 22, 1862, to serve three years; no further record. MOORE, RILEY. - Age, 18 years. Enlisted, March 16, 1863, at Buffalo; mustered in as private, Co. E, March 17, 1863, to serve three years; ; transferred to Co. D, May 20, 1863; mustered out, June 19, 1865, at Buffalo, N.Y.
MOORE, THOMAS A. - Age, 22 years. Enlisted, as a private, "unassigned," August 20, 1863, at Buffalo, to serve three years; no further record. MOORE, WILLIAM. - Age, 18 years. Enlisted, August 31, 1863, at New York; mustered in as private, Co. I, September 2, 1863, to serve three years; appointed corporal, June 2, 1865; mustered out with company, July 19, 1865, at Raleigh, N.C.
MOORE, WILLIAM H. - Age, 22 years. Enlisted, August 22, 1863, at Buffalo; mustered in as sergeant, Co. K, September 10, 1863, to serve three years; reduced, July 5, 1864; mustered out with company, July 19, 1865, at Raleigh, N.C.; prior service in Twenty-first New York Volunteers. MORAN, AUGUSTUS. - Age, 21 years. Enlisted, March 5, 1863, at New York, as private, Co. E, to serve three years; deserted, prior to date of muster in of company, March 31, 1863. MORAN, DEE. - Age, 23 years. Enlisted, December 31, 1862, at Lancaster; mustered in as corporal, Co. L, December 31, 1862, to serve three years; no further record. MORAN, JOSEPH. - Age, 21 years. Enlisted, April 9, 1863, at New York, as private, Co. F, to serve three years; deserted prior to date of muster in of company, April 28, 1863. MORAN, PATRICK. - Age, 30 years. Enlisted, December 2, 1862, at New York; mustered in as private, Co. E, March 31, 1863, to serve three years; transferred to Co. C, May 20, 1863; to Co. G, December 1, 1864; mustered out with company, July 19, 1865, at Raleigh, N.C.
MORAN, THOMAS. - Age, 24 years. Enlisted, February 10, 1863, at Syracuse, mustered in as teamster, Co. G, August 7, 1863, to serve three years; reduced, September or October, 1863; discharged, April 23, 1864, at Foster General Hospital, New Berne, N.C.
MORBERGER, AUGUSTUS. - Age, 34 years. Enlisted, October 30, 1863, at Buffalo; mustered in as private, Co. M, November 24, 1863, to serve three years; mustered out with company, July 19, 1865, at Raleigh, N.C.
MOREHEAD, WILLIAM. - Age, 39 years. Enlisted, January 30, 1863, at New York; mustered in as private, Co. F, April 28, 1863, to serve three years; transferred to Co. B, April 28, 1863; discharge, June 7, 1865, at General Hospital, Troy, N.Y. MORES, SAMUEL B., see Moves, Samuel B.
MORGAN, EDWIN L. - Age, 29 years. Enlisted, March 21, 1863, at New York; mustered in as private, Co. F, April 28, 1863, to serve three years; appointed corporal, November 7, 1863; captured, April 20, 1864, at Plymouth, N.C.; died on or about July 20, 1864, at Andersonville, Ga. MORNING, CHARLES. - Age, 23 years. Enlisted, December 4, 1862, at New York; mustered in as private, "unassigned," December 4, 1862, to serve three years; no further record. MORRIARTY, JOHN. - Age, 21 years. Enlisted, December 8, 1862, at Buffalo; mustered in as blacksmith, Co. H, December 8, 1862, to serve three years; no further record. MORRIS, JOHN. - Age, 21 years. Enlisted, February 5, 1863, at Buffalo; mustered in as private, Co. E, February 5, 1863, to serve three years; no further record. MORRIS, JOSEPH. - Age, 25 years. Enlisted, February 2, 1863, at Buffalo; mustered in as private, Co. E, February 2, 1863, to serve three years; no further record. MORRISSEY, DAVID. - Age, 21 years. Enlisted, February 20, 1864, at Troy; mustered in as private, "unassigned," February 20, 1864, to serve three years; no further record. MORRISON, JAMES. - Age, 21 years. Enlisted, July 25, 1863, at Buffalo; mustered in as private, Co. H, August 27, 1863, to serve three years; captured, March 8, 1865, at Wises Forks, N.C.; paroled, date not stated; mustered out, July 6, 1865, at Elmira, N.Y.; also borne as James O. Morrison. MORRISON, THEODORE. - Age, 27 years. Enlisted, August 15, 1862, at Fulton; mustered in as private, Co. A, August 22, 1862, to serve three years; deserted, prior to November 19, 1862. MORRISON, WILLIAM N. - Age, 32 years. Enlisted, September 4, 1862, at Austerlitz; mustered in as sergeant, Co. C, February 17, 1863, to serve three years; no further record. MORROW, HUMPHREY. - Age, 40 years. Enlisted, October 7, 1864, at Wheatfield; mustered in as private, "unassigned," October 7, 1864, to serve one year; no further record. MORSE, JACOB Y. - Age, 25 years. Enlisted, January 14, 1863, at Rome; mustered in as private, Co. I, March 31, 1863, to serve three years; transferred to Co. B, May 20, 1863; mustered out with company, July 19, 1865, at Raleigh, N.C.; also borne as Jacob G. Morse. MORSE, JAMES H. - Age, 36 years. Enlisted, August 13, 1862, at Oswego; mustered in as private, Co. A, November 19, 1862, to serve three years; deserted, April 17, 1863, while on sick furlough. MORTON, CHARLES. - Age, 31 years. Enlisted, April 15, 1863, at Buffalo; mustered in as private, Co. H, August 27, 1863, to serve three years; deserted, September 21, 1863, from Camp Sprague, Staten Island. MORTON, CHARLES H. - Age, 22 years. Enlisted, December 26, 1862, at Syracuse; mustered in as sergeant, Co. F, April 28, 1863, to serve three years; captured, April 20, 1864, at Plymouth, N.C.; escaped, date not stated; reduced, April 20, 1865; appointed sergeant, June 25, 1865; mustered out with company, July 19, 1865, at Raleigh, N.C.
MORTON, JOSEPH. - Age, 21 years. Enlisted, January 13, 1863, at New York; mustered in as private, "unassigned," January 13, 1863, to serve three years; no further record. MOSBECK, MICHAEL. - Age, 19 years. Enlisted, Age, August 21, 1863, at Buffalo; mustered in as private, Co. K, September 10, 1863, to serve three years; died of disease, October 10, 1864, at New Berne, N.C.; also borne as Mosebeck. MOSHER, HENRY EPHRAIM. - Age, 26 years. Enlisted, August 15, 1862, at Fulton; mustered in as private, Co. A, November 19, 1862, to serve three years; mustered in as second lieutenant, April 23, 1863; wounded and captured, July 20, 1863, at Tarboro, N.C.; died, date not stated, while prisoner of war, at Charleston, S.C. Commissioned second lieutenant, November 20, 1863, with rank from April 23, 1863, original; first lieutenant, September 16, 1864, with rank from August 24, 1864, vice Van Valkenburgh; not mustered. MOSHER, GEORGE. - Age, 42 years. Enlisted, May 29, 1863, at Syracuse; mustered in as corporal, Co. G, August 7, 1863, to serve three years; appointed sergeant, March 1, 1864; reduced, March 29, 1865; mustered out with company, July 19, 1865, at Raleigh, N.C.; prior service in Tenth United States Infantry. MOTT, CALEB. - Age, 21 years. Enlisted, September 24, 1863, at Buffalo; mustered in as farrier, Co. L, September 25, 1863, to serve three years; reduced, October 1, 1863; appointed corporal, April 11, 1864; mustered out, July 18, 1865, at McDougall General Hospital, New York Harbor. MOTT, HENRY. - Age, 24 years. Enlisted, November 17, 1863, mustered in as private, Co. A, November 29, 1863, to serve three years; captured at Plymouth, N.C., April 20, 1864; died, October 2, 1864, at Andersonville, Ga., while a prisoner of war; also borne as Watt. MOTT, WILLIAM. - Age, 21 years. Enrolled, August 22, 1862, at New York; mustered in as first lieutenant, Co. A, November 19, 1862, to serve three years; mustered out, to date April 2, 1863, at New York. Not commissioned. MOUNDS, STEPHEN R. - Age, 38 years. Enlisted, September 19, 1864, at Albany; mustered in as private, Co. L, September 19, 1864, to serve one year; mustered out, June 20, 1865, at Halifax, N.C.
MOUES, SAMUEL B. - Age, 29 years. Enlisted, September 6, 1864, at Albany; mustered in as private, Co. M, September 6, 1864, to serve three years; absent, in confinement, at date of muster out of company, July 19, 1865; also borne as Mores; no further record. MOZAT, JOSEPH. - Age, 21 years. Enlisted, April 20, 1863, at New York; mustered in as private, Co. F, April 20, 1863, to serve three years; transferred To Co. E, May 20, 1863; deserted, May, 1863, from Staten Island, N.Y.
MULLALY, JOHN. - Age, 32 years. Enlisted, May 6, 1863, at Buffalo; mustered in as private, Co. E, May 6, 1863, to serve three years; transferred to Co. D, May 20, 1863; mustered out with company, July 19, 1865, at Raleigh, N.C.
MULLEN, JAMES J. - Age, 21 years. Enlisted, July 6, 1863, at Troy, as private, Co. I, to serve three years; name crossed on muster-in roll. MULLER, ANTHONY, see Miller, Anthony. MULLER, DAVID. - Age, 25 years. Enlisted, December 14, 1863, at New York; to serve three years; "unassigned," December 15, 1863, to serve three years; no further record. MULLER, HENRY. - Age, 26 years. Enlisted, January 13, 1863, at Buffalo; mustered in as private, "unassigned," January 14, 1862, to serve three years; no further record. MULLER, JOHN. - Age, 32 years. Enlisted, December 2, 1862, at New York; mustered in as private, "unassigned," December 2, 1862, to serve three years; no further record. MULLIGAN, DANIEL. - Age, 22 years. Enlisted, December 19, 1862, at Rouses Point; mustered in as private, Co. F, April 28, 1863, to serve three years; captured, April 20, 1864, at Plymouth, N.C.; confined at Andersonville; exchanged, May, 1865; mustered out, June 23, 1865, at New York. MULLINS, JOHN. - Age, 28 years. Enlisted, October 30, 1863, at Buffalo; mustered in as private, Co. M, December 16, 1863, to serve three years; appointed corporal, January 13, 1864; sergeant, August 12, 1864; captured, March 29, 1865, near Snow Hill, N.C.; released, May 5, 1865; mustered out, June 24, 1865, at New York. MULVEY, JOHN. - Age, 27 years. Enlisted, December 4, 1862, at Buffalo; mustered in as private, Co. D, December 4, 1862, to serve three years; no further record. MULVEY, NARCISSE, see Mulway, Narcisse. MULVEY, THOMAS. - Age, 23 years. Enlisted, December 23, 1862, at Buffalo; mustered in as private, Co. D, December 23, 1862, to serve three years; appointed corporal, April 16, 1863; transferred to Co. A, May 20, 1863; captured, April 20, 1864, at Plymouth, N.C.; reported as a paroled prisoner, at Annapolis, Md., upon muster our of company, July 19, 1865; also borne as Mulvery; no further record. MULWAY, NARCISSE. - Age, 19 years. Enlisted, January 2, 1863, at New York; mustered in as private, Co. F, April 28, 1863, to serve three years; killed, July 20, 1863, at Tarboro, N.C.; also borne as Mulvey. MUNDY, EDW. M. - Age, 31 years. Enrolled, February 13, 1863, at Albany; mustered in as surgeon, to date February 13, 1863, to serve three years; discharged, May 13, 1864; also borne as Edward C. Commissioned surgeon, November 20, 1863, with rank from February 13, 1863, original. MURASS, PHILLIP. - Age, 26 years. Enlisted, December 23, 1862, at Albany, as private, Co. E, to serve three years; deserted, prior to March 31, 1863, date of muster in of company. MURDOCK, JAMES. - Age, 35 years. Enlisted as a private, "unassigned," August 18, 1863, at Troy, to serve three years; no further record. MURPHY, JUNINO (Colored). - Age, 24 years. Enlisted, November 5, 1864, in North Carolina; mustered in as sub-cook, Co. E, November 5, 1864, to serve three years; mustered out with company, July 19, 1865, at Raleigh, N.C.
MURPHY, JOHN. - Age, 23 years. Enlisted, December 25, 1862, at Buffalo; mustered in as private, Co. L, December 25, 1862, to serve three years; no further record. MURPHY, JOHN. - Age, 18 years. Enlisted, November 19, 1862, at New York; mustered in as private, "unassigned," November 19, 1862, to serve three years; no further record. MURPHY, JOSEPH. - Age, 18 years. Enlisted, November 18, 1862, at Buffalo; mustered in as private, Co. H, November 19, 1862, to serve three years; no further record. MURPHY, MICHAEL. - Age, 22 years. Enlisted, July 16. 1863, at Oswego; mustered in as private, Co. I, September 2, 1863, to serve three years; mustered out with company, July 19, 1865, at Raleigh, N.C.
MURPHY, PATRICK. - Age, 19 years. Enlisted, July 8, 1863, at Buffalo; mustered in as private, Co. H, August 27, 1863, to serve three years; mustered out with company, July 19, 1865, at Raleigh, N.C.; prior service in Twenty-first New York Volunteers. MURPHY, THOMAS. - Age, 21 years. Enlisted, December 1, 1862, at West Troy, as private, Co. E, to serve three years; deserted, prior to March 31, 1863, date of muster in of company. MURPHY, THOMAS. - Age, 20 years. Enlisted, August 15, 1863 at Troy; mustered in as private, Co. I, September 2, 1863, to serve three years; appointed corporal, November or December, 1863; reduced May 13, 1864; appointed corporal, May 10, 1865; mustered out with company, July 19, 1865, at Raleigh, N.C.
MURPHY, THOMAS. - Age, 21 years. Enlisted, February 7, 1863, at Rome; mustered in as private, Co. B, March 31, 1863, to serve three years; no further record. MURPHY, WILLIAM. - Age, 19 years. Enlisted, January 22, 1863, at Buffalo; mustered in as private, Co. E, January 23, 1863, to serve three years; no further record. MURRAY, DAVID. - Age, 20 years. Enlisted, August 17, 1863, at New York, as private, Co. I, to serve three years; name erased from muster-in roll of Co. I.
MURRAY, EDWARD. - Age, 31 years. Enlisted, November 27, 1862, at Buffalo; mustered in as private, Co. D, November 27, 1862, to serve three years; no further record. MURRAY, JAMES. - Age, 21 years. Enlisted, December 17, 1862, at Buffalo; mustered in as private, Co. L, December 17, 1862, to serve three years; no further record. MURRAY, JOHN. - Age, 22 years. Enlisted, January 28, 1863, at Buffalo; mustered in as private, Co. E, January 28, 1863, to serve three years; no further record. MURRAY, JOHN. - Age, 33 years. Enlisted, November 25, 1862, at Buffalo; mustered in as private, Co. D, November 25, 1862, to serve three years; no further record. MURRAY, JOSEPH. - Age, 22 years. Enlisted, November 27, 1862, at Ogdensburg; mustered in as private, Co. E, March 31, 1862, to serve three years; no further record. MURRAY, J. W. - Age, 22 years. Enlisted, November 27, 1862, at New York; mustered in as private, "unassigned," December 6, 1862, to serve three years; no further record. MURRAY, PETER M. - Age, 34 years. Enlisted, February 26, 1863, at Buffalo; mustered in as private, Co. E, February 26, 1863, to serve three years; no further record. MURTHE, THOMAS. - Age, 25 years. Enlisted, November 24, 1862, at Buffalo; mustered in as private, Co. H, November 24, 1862, to serve three years; transferred to Co. D, May 20, 1863; mustered out with company, July 19, 1865, at Raleigh, N.C.; also borne as Murth. MYER, ALBERT, see Meyer, Albert. MYERS, EDWARD. - Age, 34 years. Enlisted, July 24, 1863, at Buffalo, as private, Co. H, to serve three years; deserted, August 26, 1863, from recruiting station, Buffalo, N.Y.; also reported as a deserter from Wheelers Battery. MYERS, FRANK. - Age, 26 years. Enrolled, July 31, 1863, at Buffalo; mustered in as first lieutenant, Co. H, August 27, 1863, to serve three years; captain, to date November 20, 1863; captured, March 8, 1865, at Wises Forks, N.C.; returned to company, May 14, 1865; mustered out with company, July 19, 1865, at Raleigh, N.C. Commissioned first lieutenant, November 20, 1863, with rank from July 29, 1863, original; captain, January 8, 1864, with rank from November 20, 1863, vice Taylor, promoted. MYERS, GEORGE. - Age, 25 years. Enlisted, February 13, 1863, at New York, as private, Co. F, to serve three years; deserted, May 20, 1863, from Camp Washington, Staten Island, N.Y.
MYERS, JOHN. - Age, 24 years. Enlisted as a private, "unassigned," December 8, 1862, at Greenville, to serve three years; no further record. MYERS, JOSEPH. - Age, 24 years. Enlisted, December 30, 1863, at Troy; mustered in as private, Co. C, December 31, 1863, to serve three years; mustered out with company, July 19, 1865, at Raleigh, N.C.; also borne as Meyers. MYRES, MOSES O. - Age, 44 years. Enlisted, November 4, 1862, at Austerlitz; mustered in as private, Co. C, February 17, 1862, to serve three years; no further record.